Paparazzi’s friend and reality star, Kim Kardashian, who was robbed of jewellery worth millions of pounds last October, thinks her attackers really followed her before they strike. 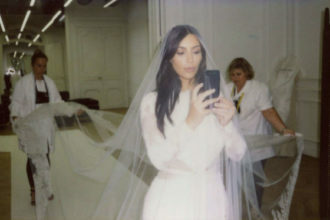 Details surrounding Kim Kardashian West’s brutal robbery in Paris have been slowly emerging on the family’s reality TV show from the woman herself and the latest revelation is that the mother-of-two thinks the perpetrators followed her movements on social media before waiting to ambush her when she was alone. In a new teaser clip for the latest episode of Keeping Up With The Kardashians, the social media star speaks to her sisters Kourtney and Khloe about what she believes happened to her on the fateful night of October 2 in the French capital. The wife of rapper Kanye West was robbed of millions of pounds worth of jewellery in the incident and kept a social media silence up until Christmas while she dealt with the aftermath. However, just before the theft, Kim K was posting regularly on Snapchat and revealed a number of her companions had gone out for the evening and that her bodyguard, Pascal Duvier, would not be by her side. The 36-year-old had also posted a picture of her big diamond ring on Instagram just hours before the attack. Speaking to her family after the horrifying ordeal, she said she believes the apartment where they were staying was being watched. Kim added: “What I think happened now, after thinking about it so much, there was probably a group of guys that were following us the entire trip. 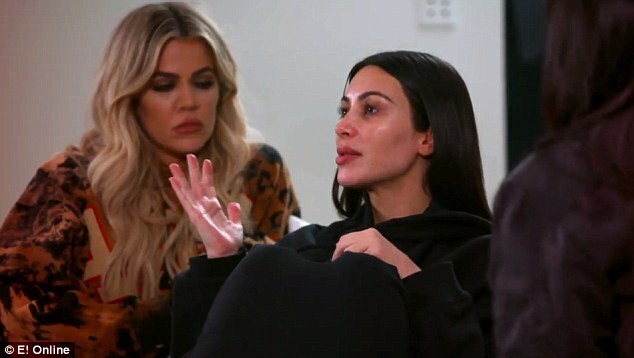 “I was Snapchatting that I was home, and that everyone was going out, so I think they knew Pascal was out with Kourtney and I was there by myself.